Whatever it is you want to make happen, we're here to help. Tell us why you need the money and we'll kick things off. Our rates are personalised to you, so your rate is based on your circumstances, not everyone else's. 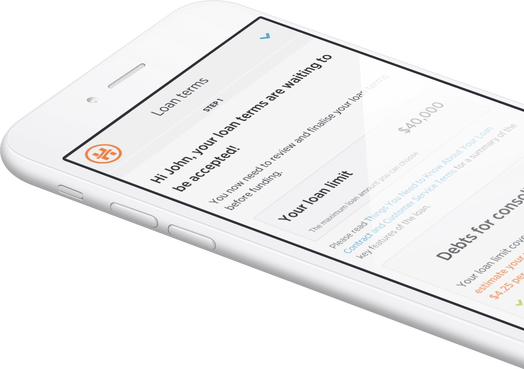 Most loans listed in the Marketplace are fully funded within 24 hours. A Streamlined 100% Online Application. No queues, no need for any awkward face-to-face meetings — our process is 100% online, 24/7. * Harmoney's interest rates and maximum loan amounts are offered based on the individual borrower's credit and affordability assessment. We’ve put together a comprehensive guide to help you kick-start your search for a new car. Quick service and so easy. The team at Harmoney makes the process so manageable with on going feedback on the next step. This was a top-up loan and was an unbelievably easy process. My loan was approved within minutes and the money was in the bank by the afternoon. A super-easy process! This is a very fastest way of dealing with my loan application. Appreciated and it helps a lot to reduce my stress level with my financial situation now. Thanks guys, you have been hassle free and awesome once again. So easy to sort things out. Sometimes you just need to talk to a person, and we have a super-dedicated Customer Support team ready to help you. It’s a team effort, so you might get Michael, Kristen, Sahil, or any of our other 30+ specialists.